Minecraft is making its way on to the pint-sized PC, the Raspberry Pi. I say pint-sized, it’s significantly smaller – about the size of a debit card. Minecraft Pi Edition is being pitched as a learning tool for people getting to grips with programming of for those looking for “the cheapest LAN party of all time”. 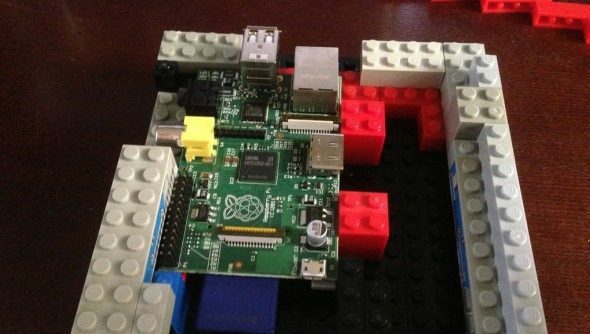 The Raspberry Pi is a cheap, tiny computer. A single board which you can plug into a monitor or tv and instantly get to work running simple programs or programming your own. They’re available for as little as $35. So for £20 you can now get a machine capable of running Minecraft. Once it’s released this version of the game, calledMinecraft: Pi Edition, will be free to download. The Pi Edition will support multiple programming languages so it will be ideal for use in any beginner’s programming class. Mojang have done a great job of positioning themselves here: the Pi is likely to begin being used in classrooms around the world and every one of them will be capable of playing one of the PC’s most successful games. There’s no release date yet but Mojang do emphasise that it will be “soon”. You can find out more about the computer here. This isn’t the first time the game’s been running on the platform though. A few weeks back,Paul spotted a Minecraft server running on the tiny PC.